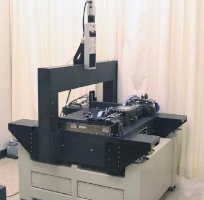 This page provides an overview of the scanner which is designed to scan one 8 in x 12 in plate per minute to a resolution of 2300 dpi. For more information on the scanner see R. J. Simcoe, J. E. Grindlay, E. J. Los, A. Doane, S. G. Laycock, D. J. Mink, G. Champine, A. Sliski. 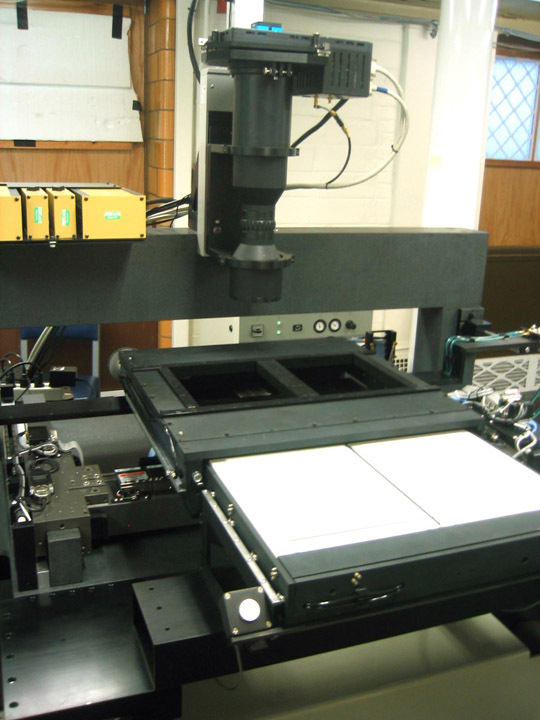 "An ultrahigh-speed digitizer for the Harvard College Observatory astronomical plates", in Applications of Digital Image Processing XXIX, edited by Andrew G. Tescher, Proceedings of SPIE Vol. 6312 (SPIE, Bellingham, WA, 2006) 631217, Construction of the scanner was possible with grant AST-0407380 from the National Science Foundation. 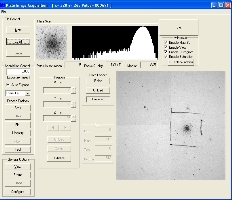 A Microsoft WMV format video (9.4 MB) is available of the scanner in operation. The camera uses the ATMEL AT71201M 4K x 4K CCD with 11 micron pixels and is capable of reading out a 12 bit digitized image in 140 msec. 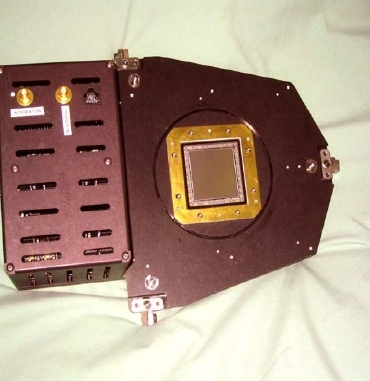 The model SI-16M8-FF camera, available commercially from Salvadore Imaging (now FLIR Systems), was generously donated to the project. 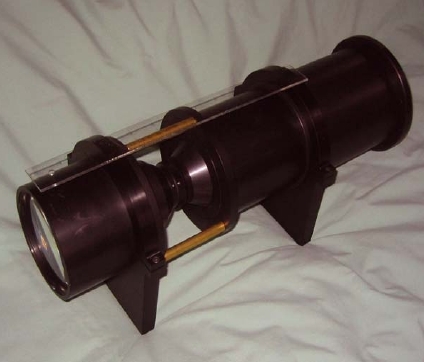 The lens is a double telecentric lens from Sill Optics capable of imaging the full 45mm square CCD field of view at 1:1 magnification. 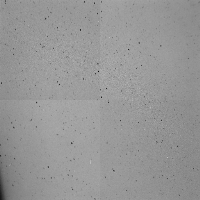 First light from the camera on February 1, 2005. Since the original illumination system proved to be not bright enough, we tested the camera with a single LED. As the camera has no shutter, the image is smeared as it is clocked out of the camera. 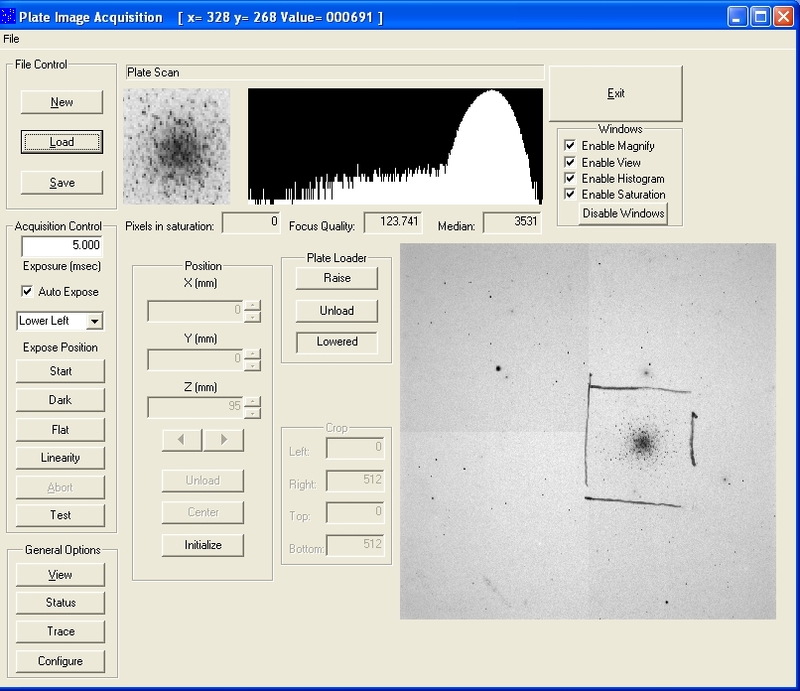 The gap in the center was eventually closed by adjusting the parameters of the Coreco dual channel frame grabber which receives the image from the CameraLink camera interface and transfers it to host memory. The final illumination source is composed of four Lamina Ceramics red LED arrays containing 117 LED's per array or 468 total. 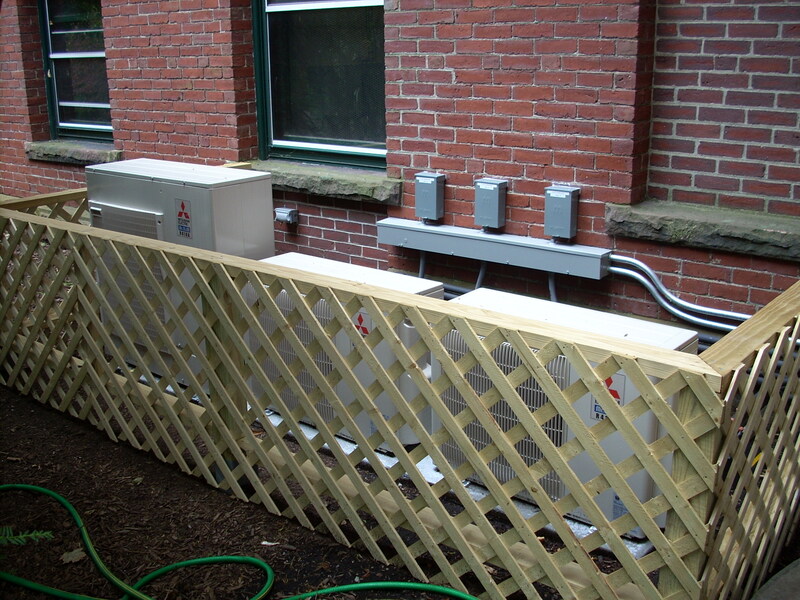 The LED arrays are strobed with a 5 amp power supply generating about 120W of power. 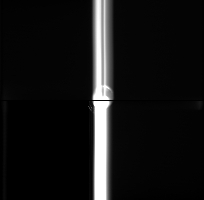 Typical exposure times are 6 to 50 msec. With the new LED strobe system, the first image of a plate was taken on February 24, 2005. Only part of the plate is at focus because of the lack of a proper holder. The different amplifier response of each quadrant is noticable because the image has not been flatfielded. 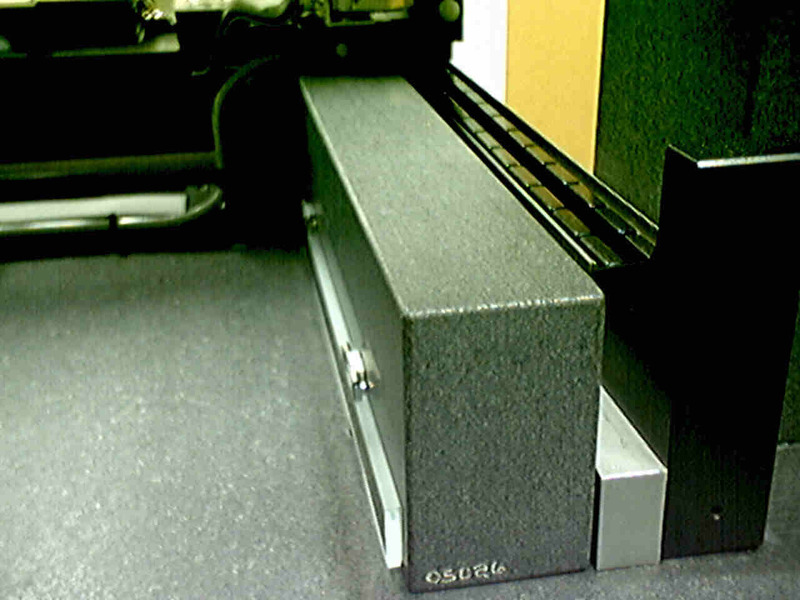 The Aerotch ABL9000 linear stage at the manufacturer's facility in Blawnox, PA on April 21, 2005. The screw driven stage at the top is used to adjust the focus height of the camera which remains fixed while the plate is repositioned underneath for each exposure. Detail of the linear stage y-axis North bearing. In the top center is a polished granite surface of the air bearing which supports one side of the x-axis bearings which in turn support the plate holder. The motor magnets are just to the right of the air bearing block. 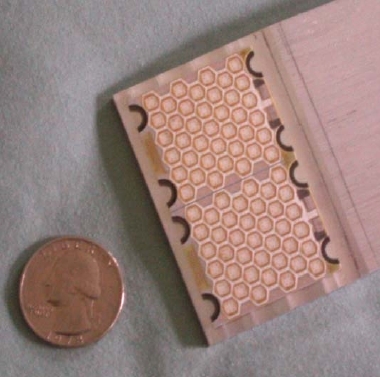 In the lower center is a Cer-Vit scale with a 4 micron pitch. A 400x multiplier provides 0.01 micron readout to support the rated stage accuracy of 0.2 microns. 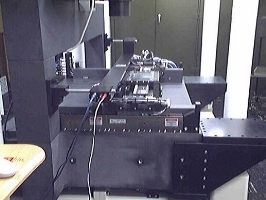 During normal scanning, the x-axis drive shifts the plate in 22 mm increments in 300 msec so that each region of the plate is exposed twice. At the end of each horizontal scan, the y-axis drives shift the plate in 44 mm increments in 390 msec. The linear stage is delivered to Harvard on May 31, 2005. 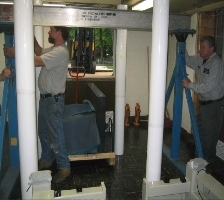 The riggers are preparing to navigate the 2,400 pound stage through a four foot square window (there are no doors at the basement level of the stacks.) and between plate stack support poles spaced 56 inches apart. The scanner shortly after stage delivery. 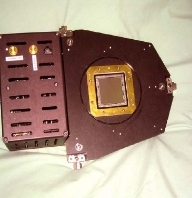 The camera bottom lens is at the top left center of the image and the bar supporting the LED arrays can be identified by the LED power supply cables running in front of the stage to the bottom left center. 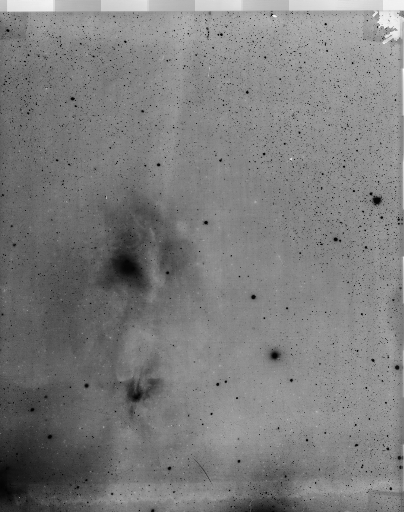 The scanner control window showing the official July 26, 2005 first light exposure of M13, part of plate C12144 taken on September 4, 1899 with the 11 inch Draper Refractor in Cambridge. 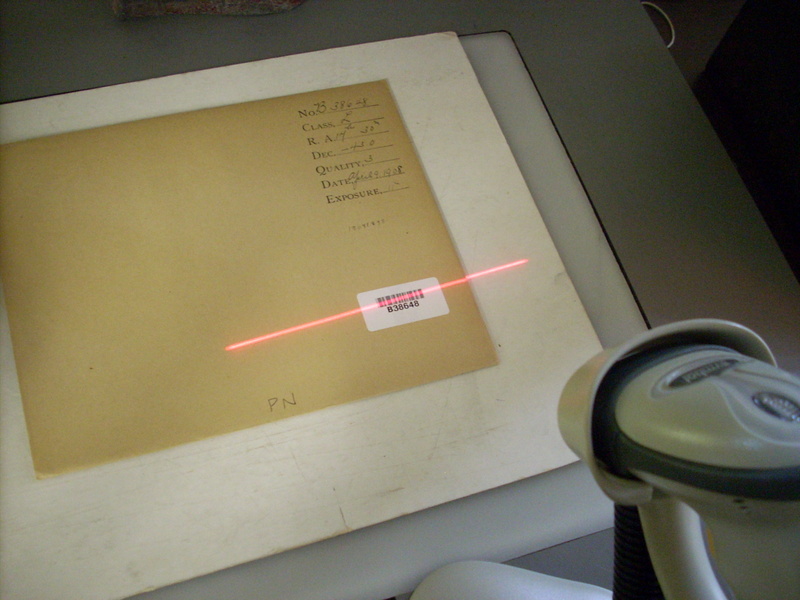 A temporary support positioned the plate for this exposure. The control window shows each tile, a histogram of the tile illumination, and a close-up of selected tile regions. 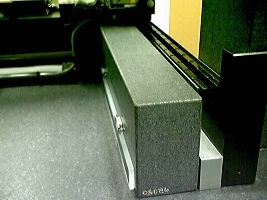 The plate loader is installed on the linear stage with the drawer in the load position. The two white blocks are made of triple-layered opal glass which support the 8 inch x 10 inch plates and diffuse the light from the LEDs below. A single block replaces these two blocks for scanning the largest 14 inch by 17 inch plates. 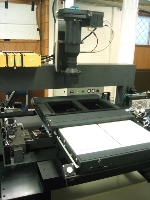 Barcode Scanning was introduced in February 2010 to reduce the need for typing and improve tracking of plates. A new air conditioning system installed in June 2010 is more than adequate to handle the cooling load of the scanner and servers. The temperature of the scanner electronics is now very stable. 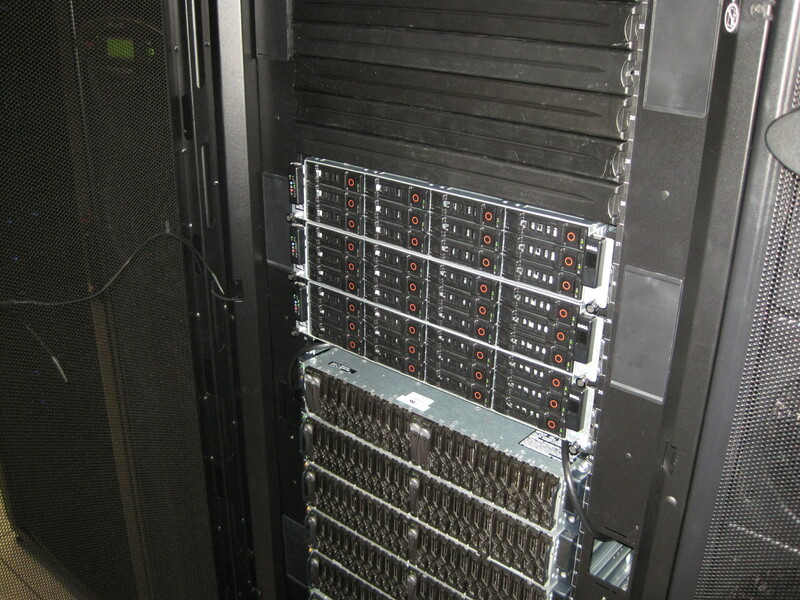 On May 19, 2011, DASCH moved to the Harvard cloud , the Odyssey cluster. This image shows the installation of our first three cloud servers with a total of 54 TB of effective storage. We now have five servers with 56 parallel threads available to generate our mosaics and photometry data; and can serve all of our mosaics to the external web. On September 14, 2012, we began backing up all of our raw tile and calibration data to LTO-5 tapes. The autochanger shown holds 22 tape cartridges plus a cleaning tape and a slot for changing tapes while the tape drive is in operation.